I love car shows. However, this year my appetite for classic american muscle was quickly fulfilled and I felt more interested in either shooting interesting details on the cars or their owners and other people. 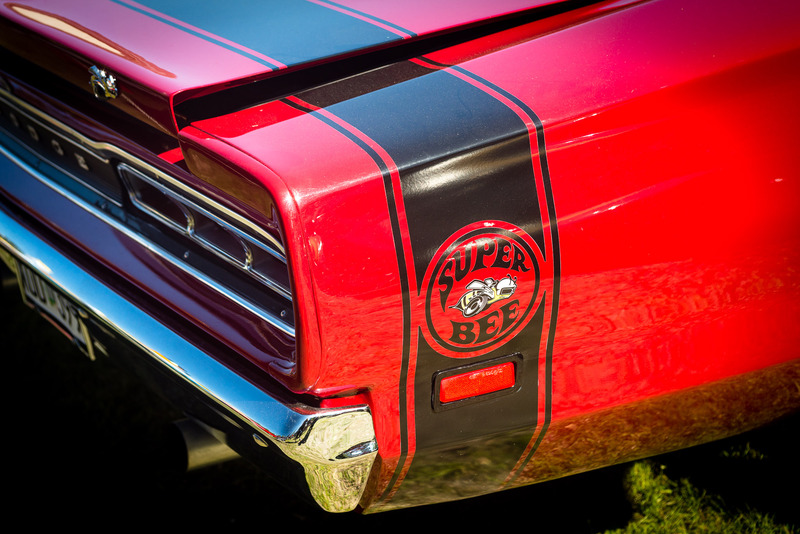 I liked the contrasty red/black style of this Super Bee. Oh, and I’m so happy I brought my CPL-filter for this event. Reflections would’ve been MURDER without it! Admittedly though, I’m not sure I completely nailed the polarization on some shots. Oh well.